Arson K-9 "Misty" served with distinction from 1999 through 2006. 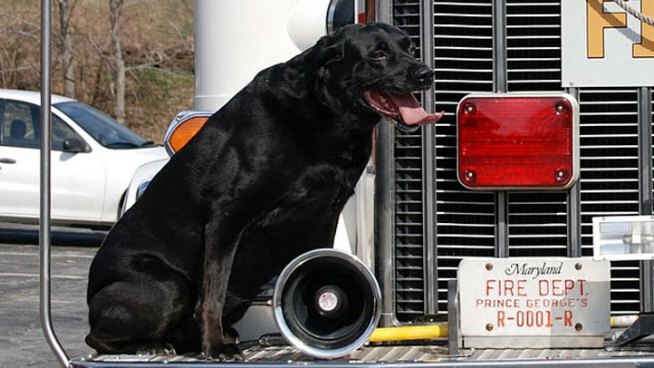 On Monday May 16, 2011, retired Prince George’s County Fire/EMS Department Arson Canine “Misty” was laid to rest. Misty served the Department from 1999 through 2006 after completing an intensive six week training program in Maine with her handler Scott Hoglander. They graduated together and were certified by the Maine Criminal Justice System through a scholarship given by State Farm Insurance. Throughout her career Misty provided assistance on many arson scenes. In addition to her work in Prince George’s County, she also responded to assist the following agencies: Office of the State Fire Marshal, Annapolis Fire Department, Anne Arundel County Fire Department, Baltimore City Fire Department, Howard County Fire Department, Montgomery County Fire and Rescue Services, District of Columbia Fire Department and several Fire Departments in Northern Virginia. Most notably, Misty was instrumental in finding patterns that led to a serial arsonist that was striking the Washington, DC area. Through her training, Misty was able to detect the presence of an ignitable liquid at many fire scenes which was one of many similarities. As a result, a task force was created and a 22 month investigation brought to justice an individual that was responsible for over 300 fires. This collaborative effort was featured on an episode of Forensic Files entitled "Hot on the Trail" in which she appeared. For her work on this case, she was awarded several presentations including a Prince George’s County Fire/EMS Department Unit Citation, County Council Proclamation and a Special Achievement Award from the Bureau of Alcohol, Tobacco, Firearms and Explosives (ATF). Misty, a Labrador Retriever, was 13 years-of-age. Misty was originally a rescue dog in a pound before entering into the ranks of Arson Canine. Throughout her Fire/EMS Department career and after; Misty remained a faithful pet, companion and family member to Scott Hoglander. From pound puppy to fire department hero. That's how Misty, a retired Prince George's County Fire/EMS arson canine, will be remembered after passing away earlier this week at the age of 13. Misty was best known for her work that led to the arrest of a serial arsonist responsible for setting more than 300 fires. The department said that, through her training, she was able to detect the presence of an ignitable liquid at many fire scenes, which was one of many similarities. As a result, a task force was created and a 22-month investigation led to the arrest. Misty, originally a rescue dog picked up at a pound, also served in many other counties across Maryland, Virginia and D.C.
She worked for the Prince George's Fire Department from 1999-2006 after completing an intensive six-week training program in Maine with her handler, Scott Hoglander. They graduated together and were certified by the Maine Criminal Justice System through a scholarship given by State Farm Insurance. After retiring from the force, Misty remained a faithful pet, companion and family member to Hoglander. 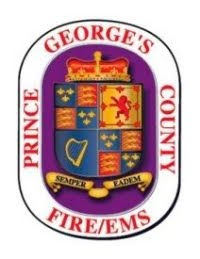 PRINCE GEORGE'S COUNTY, MD (WUSA) -- The Prince George's County Fire/EMS Department is mourning the loss of a beloved arson dog. Misty served the Department for 8 years alongside her handler, Scott Hoglander, before retiring in 2006. Misty became famous for her role in catching a serial arsonist in Washington, D.C in 2005. Though the fires were seemingly unconnected, Misty was able to detect an ignitable liquid at many of the scenes. This clue led to the arrest of Thomas A. Sweatt, who officials believe was responsible for as many as 300 fires. The investigation was featured on an episode of Forensic Files entitled "Hot on the Trail" and highlighted Misty's role. For her work, she was awarded a Prince George's County Fire/EMS Department Unit Citation, a County Council Proclamation, and a Special Achievement Award from the Bureau of Alcohol, Tobacco, Firearms, and Explosives. In addition to her work in Prince George's County, Misty worked with the Office of the State Fire Marshal, Annapolis Fire Department, and the Baltimore City Fire department, to name a few. Misty had continued to live with Hoglander and his family after her retirement. She was 13 years old. A freak and near tragic incident seriously injured the driver of a car and recent wet weather may have been a contributing factor. 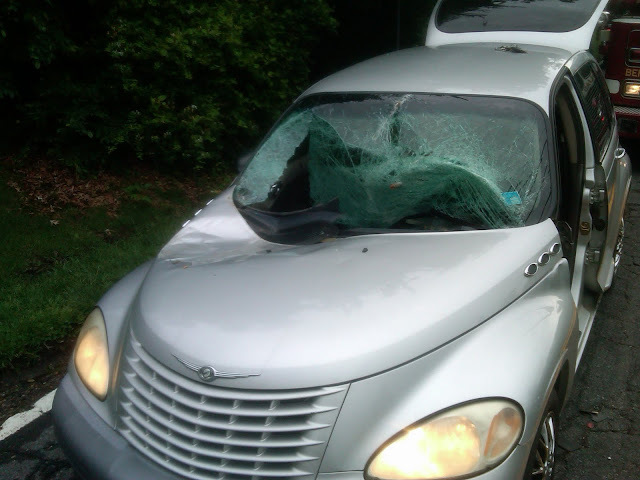 Just after 9:00 am, Thursday, May 19, 2011, a vehicle operated by an adult male was travelling in the 4200 block of Sellman Road in Beltsville. A tree uprooted from the wet and soft ground and fell simultaneously as the car was passing by. The tree fell into the path of and onto the front end of the moving vehicle causing significant damage and pinned the driver in his vehicle. Firefighters and medics from Beltsville arrived quickly and started to stabilize the tree, vehicle and tend to the patient. The heavy duty rescue squad from Berywn Heights arrived and used their hydraulic tools to extricate the patient from his vehicle. A tree crew from the Department of Public Works and Transportation (DPW&T) arrived quickly after being requested by public safety personnel. The DPW&T crew cut the fallen tree off of the vehicle and then cut down another tree that was about to fall as well. It appears that recent wet weather may have softened the ground enough that allowed these large trees to become uprooted and fall. Paramedics from College Park packaged, stabilized and treated the 40ish year old male patient for potentially serious, non-life threatening, injuries and have transported him to a Trauma Center. The Prince George's County Police Department is investigating the incident. Prince George’s County Acting Fire Chief Marc S. Bashoor announced on Tuesday, May 17, 20111, his selection to fill a future vacancy within the highest ranks of the Fire/Emergency Medical Services (EMS) Department. Benjamin Barksdale will join the Fire/EMS Department as a Lieutenant Colonel, Deputy Fire Chief, of one of the largest and busiest combination, volunteer and career, Fire/EMS Departments in the country. He is currently serving as an Assistant Fire Chief with the Arlington County, VA, Fire Department. Barksdale is a resident of Prince George’s County, 47 years-of-age and a 24-year veteran of the fire service. He comes to the Department having previously served as the Chief Fire Marshal and currently serving as the Assistant Chief of Support Services in Arlington County, VA.
Acting Fire Chief Bashoor stated, “Benjamin Barksdale is an accomplished fire service professional that I have had the unique opportunity to work with on various projects within the National Capital Region. He is the right person to fill this position and I am proud to have him working for us. Benjamin Barksdale will be assigned as the Administrative Services Commander. This position becomes available July 31, when Lt. Col. Angela M. Peden retires after 21 years of service to this Department. Barksdale will begin working with Lieutenant Colonel Peden the week of June 19, 2011. 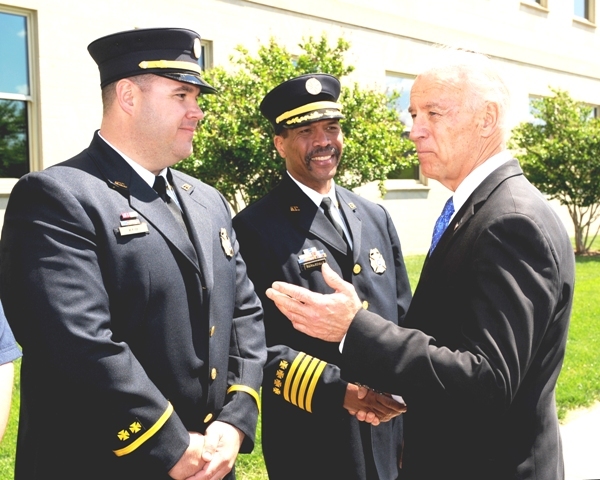 Benjamin Barkdale (center) is greeted by Vice-President Joe Biden at a recent wreath laying ceremony. Also pictured is Arlington Fire Lieutenant Gregg Karl. (Photo courtesy of Arlington Fire Department).